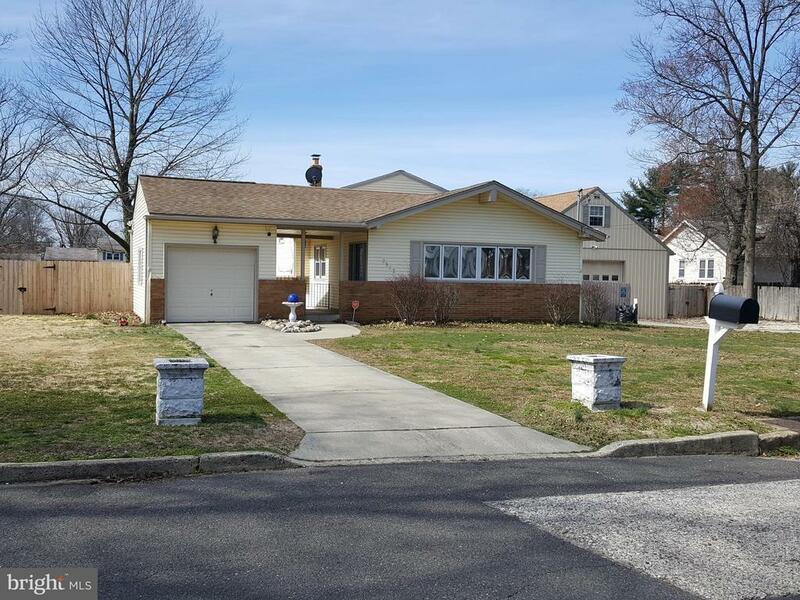 All Pennsauken homes currently listed for sale in Pennsauken as of 04/20/2019 are shown below. You can change the search criteria at any time by pressing the 'Change Search' button below. 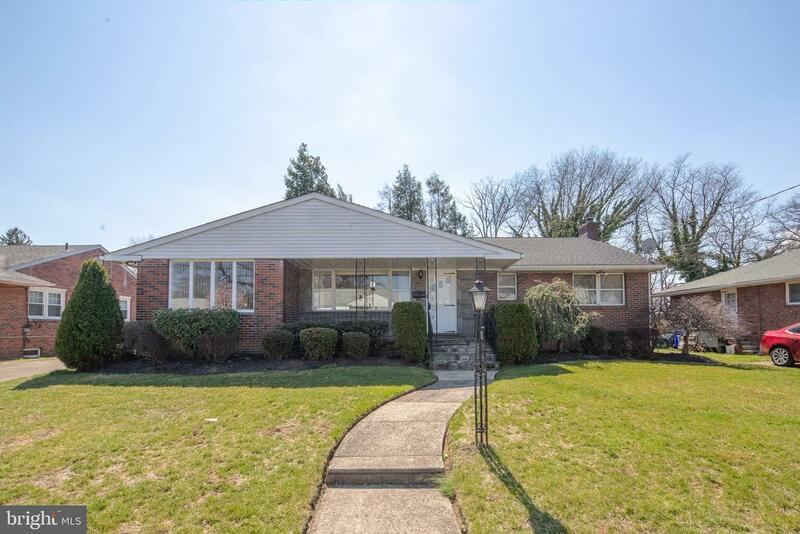 If you have any questions or you would like more information about any Pennsauken homes for sale or other Pennsauken real estate, please contact us and one of our knowledgeable Pennsauken REALTORS® would be pleased to assist you. 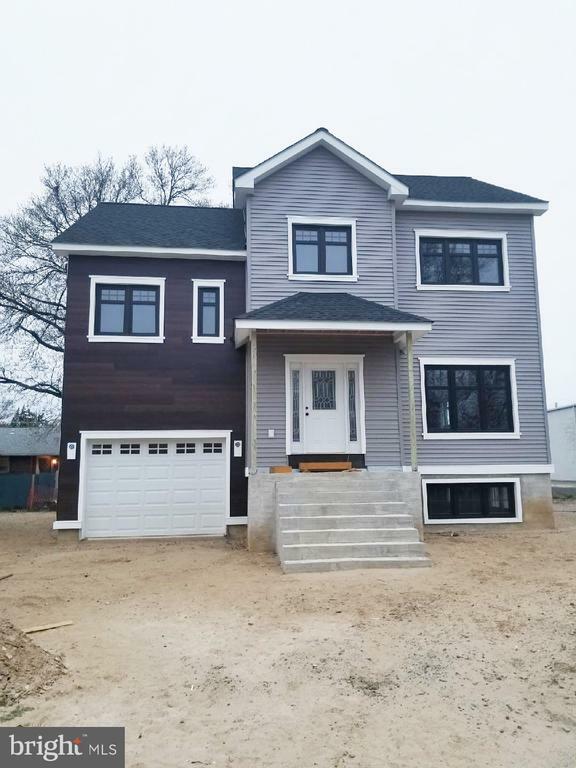 "Stunning contemporary 3 story new construction home available in Pennsauken. This is your chance to own a masterfully built home. If you act fast you still have time to pick out options such as flooring, paint, countertops, and cabinets! This will be a spacious 4br/2.5ba home with attached garage. As you enter the home on the main level you will be greeted by the foyer with coat closet which is situated off of the living room. The living room opens to the eat-in kitchen with island, dining area with French doors to rear yard and a powder room. On the next level is the master suite complete with walk-in closet, double vanity, jacuzzi tub, and shower. Upstairs you will find 3 more spacious bedrooms along with the main bath and laundry room. This home also features a partial basement with French drain that could be easily finished along with an oversized attached garage. This home boasts recessed lighting throughout, dual zone HVAC, 200 amp service and soo much more. Don't miss your opportunity to purchase high quality new construction at its finest. Call to schedule your showings today!" "NEW !!! NEW !!! NEW!!! Victorian elegance with modern convenience and updated appliances, Great Curb Appeal. A MUST SEE!! 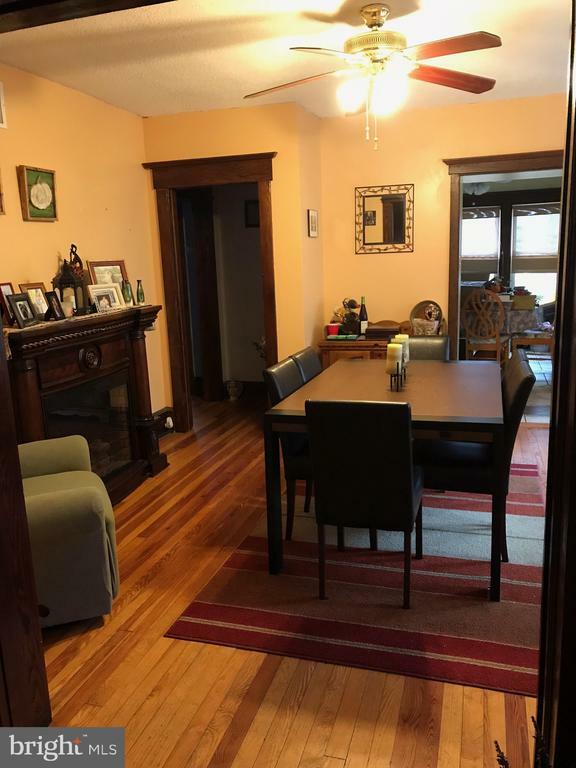 This property is a beautiful, completely renovated, large, 3-story Victorian home with an open floor plan. The heating and central air systems are NEW as well. This home has 4 bedrooms and 2 full baths. Brand NEW hardwood floors greet you throughout all 3 stories of the house. The large Family room features recessed lighting and is open to the spacious Dining room complete with a chandelier. The updated Kitchen features beautiful Granite countertops, glass tile backsplash, LED Counter Lighting, a large island with lots of storage, Porcelain tiled floors, 42 Solid Wood kitchen cabinets, and stainless-steel appliances including a brand new large French door refrigerator. The first floor Laundry room features a double stack full sized washer/dryer combo. The First floor bathroom has a pedestal sink and shower stall. The Second floor bathroom features a large vanity and tiled tub walls. All of the bedrooms feature plenty of closet space for a growing family. The Master bedroom features a walk-in closet. Outside, the covered porch wraps around the side of the house providing a great place to relax after a long day. The back deck features a covered area with a ceiling fan and a great view of the spacious back yard. Perfect space for Sumer Fun and Parties. There is a new concrete driveway and sidewalk. 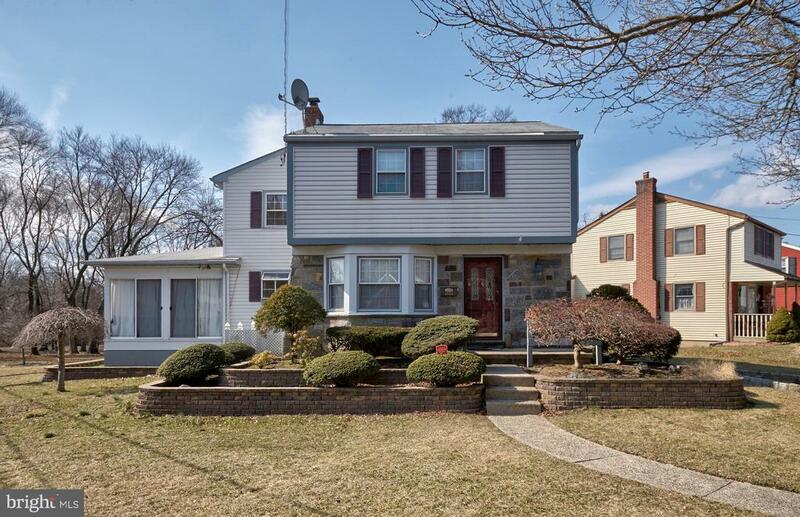 Convenient to Philadelphia, the I-95 corridor and the NJ Turnpike, Routes 130 and 73 as well as public transportation. 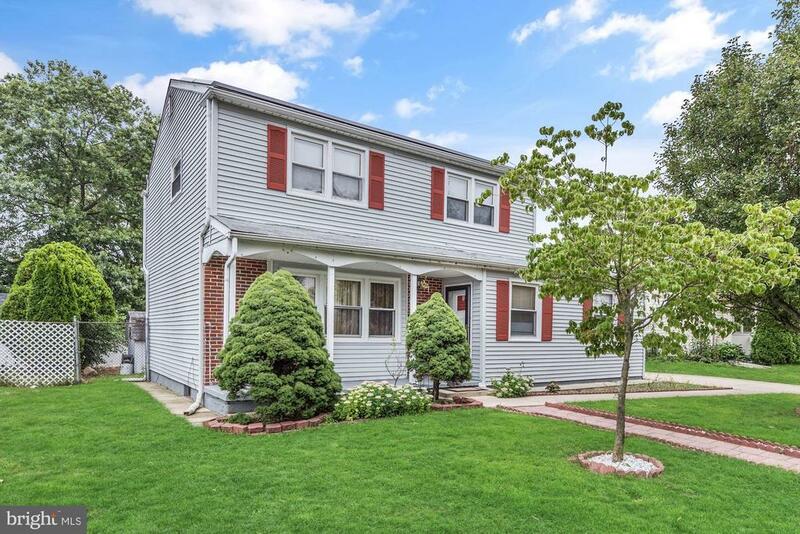 This home is very close to historic Merchantville with its quaint shops and restaurants and minutes away from Cherry Hill Mall and Garden State Park Shopping and Dining Areas. ~ Directions: Union Ave. or Cove Rd. 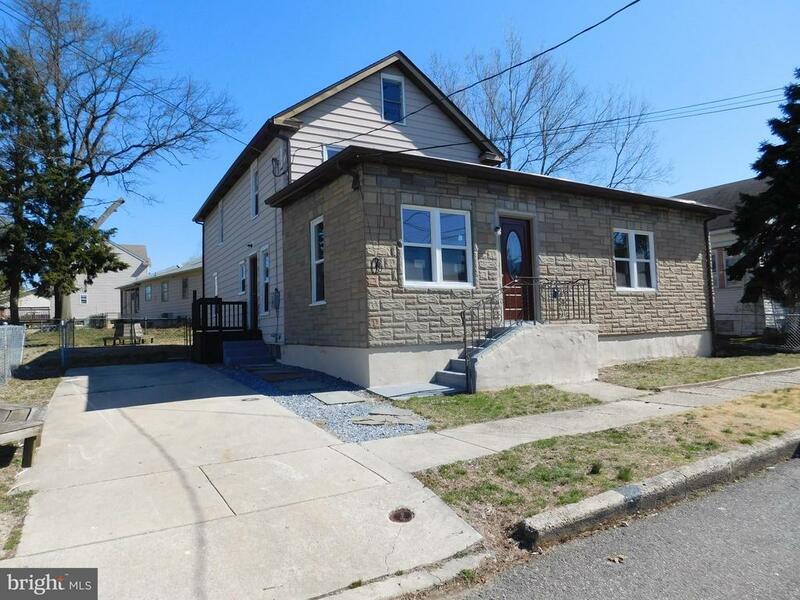 to Park Ave."
"This house offers 4 bedrooms and 2 1/2 bathrooms located in Bloomfield. The property features large fenced in back yard, 1 car garage and driveway and central air. Property is being sold as is condition. Any certs , CO from township the responsibility of the buyer prior to closing and including all repairs required by lender." "This stylish residence is located on almost half an acre in The Iron Rock development on the 10th hole of the Golf Course. The 2 story home comes complete with on the first level which has a living room, family room, kitchen with a view and master bedroom. Second level has two bedrooms and 1 bathroom. There is a partial basement with laundry and a deck. Retain the value of peaceful living while being conveniently close to shopping. Don't delay make your appointment today!" 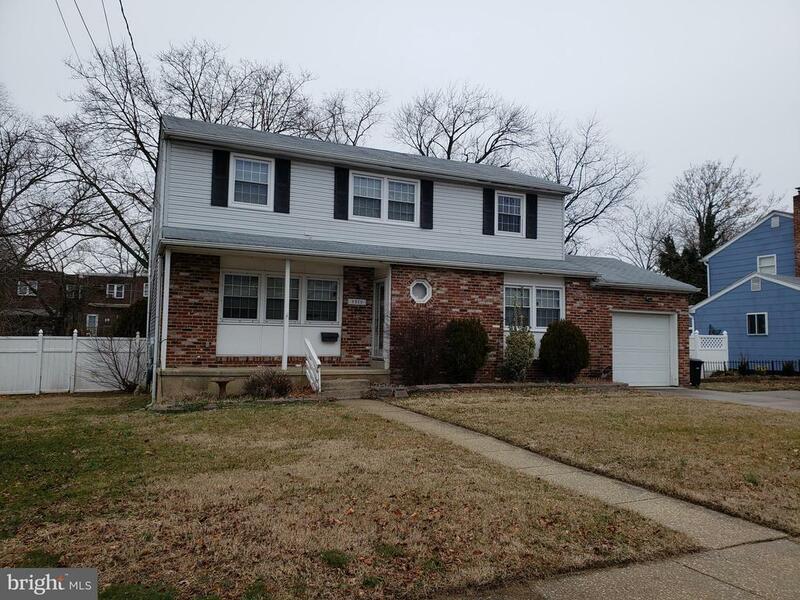 "Come and see this FIVE bedroom house in the Chadwick Section of Pennsauken. Lots and Lots of space in the large home. Nice sized great room with fireplace. Above ground pool in back yard (in as is condition) Oversized one car garage. Back yard patio with roof covering. Central Air Conditioning. You have to come and take a look! Will not last on the market long....make your appointment. Close to major roadways, shopping and schools!" "This house offers 4 bedrooms and 2 1/2 bathrooms. Property features large fenced in baack yard, 2 car garage and driveway and central air. Property is being sold as is condition. Any certs , CO from township the responsibility of the buyer prior to closing and including all repairs required by lender." 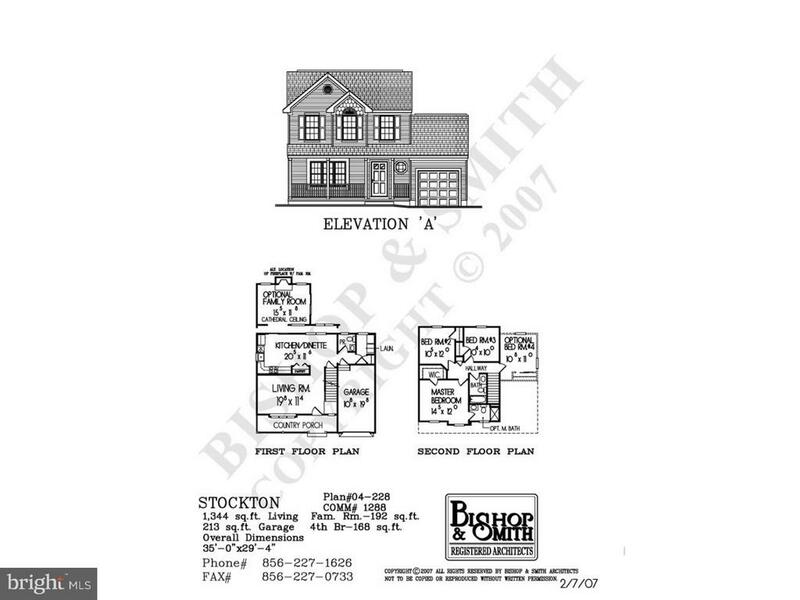 "Custom built Brick rancher over with 1,800 sq feet plus another 1,000 of finished lower level. This is one of kind rancher features 4 bedroom 2.5 bath formal living room , large formal dining room, eat-in kitchen, family room. The lower walk out level features game room with bar, pool table and media area, office and separate laundry and kitchen. Screened-in porch overlooks private yard, Two car garage offer plenty of storage space. Furniture included." 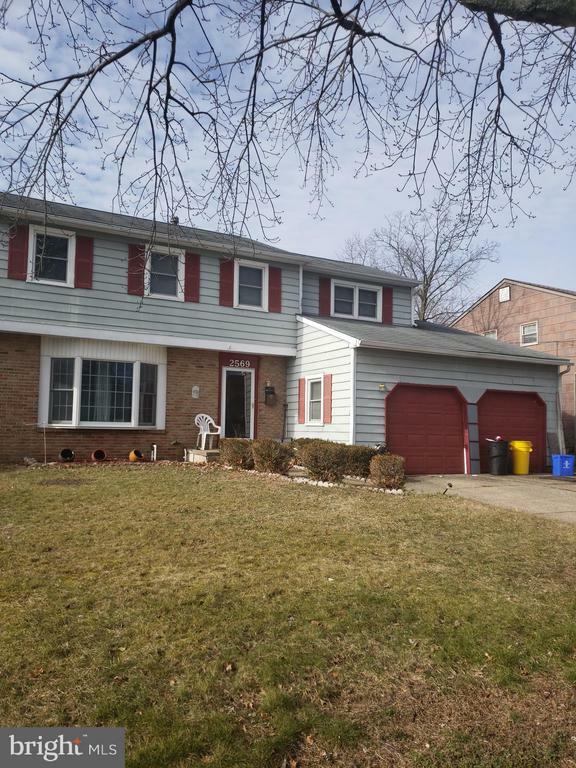 "Beautiful 3 Bedroom, 2.5 Bath Colonial w/ Finished Basement Located on Corner Property With Fantastic Curb Appeal. Vinyl Siding & Stone Front. Home Backs to Wooded Area. Upgrades include: Brazilian Hardwood Floors on Main Floor & Original Hardwood Floors on 2nd Floor, Ceiling Fans, Recessed Lighting, 2 Zone Gas Heating & Central Air. Living Room w/ Bow Window & Crown Molding. Dining Room w/ Wainscoting. Large Eat in Kitchen w/ built In Desk, Corner Double Sink, Gas Cook Top, Wall Oven, Dishwasher, Disposal, Side by Side Refrigerator, Corner Brick Gas Woodstove & a Triple Pantry. Sunroom w/ Sliders w/ Wall Heater. Modern 1/2 Bath. Fabulous Master Bedroom w/ Vaulted Ceilings, Sitting Room Area & 2 Walk In Closets. Master Bathroom w/Ceramic Shower Stall, Double Sink & Ceramic Floors. 2 Additional Nice Size Bedrooms. Hall Bath Has Ceramic Tub Surround & Ceramic Floors. Finished Basement Has Ceramic Floors Appears to Have French Drain System. Laundry Area w/ Sink. Close to Elementary School & Playground." "Delightful custom built split level home has been passed down from one generation to the next. Enter the front door to find the bright living room, and adjacent dining room, with hardwood floors and vaulted ceilings. The eat-in kitchen has newer 42 inch maple cabinets, dishwasher, French door refrigerator, and Samsung stainless steel gas range with matching microwave. Step up from the dining room to find three good sized bedrooms, all with hardwood floors. The master bedroom has a master bath with stall shower. The main hall bath completes the upper level. Step down from the kitchen to find the family room with wood burning fireplace. The fourth bedroom/office is located on this level, as well as a half bath and mudroom/heater room. Step down once more from the mudroom to find the unfinished basement with plenty of storage space and laundry. Replacement windows throughout. Bathrooms remodeled recently. Huge Pole Barn, 30'x40', has 12 ft. ceiling, heat, AC, 10' power door, full bath, and 12'x40' finished loft. Great space for parking or storing vehicles, tinkering on cars, plus the loft for storage or as a guest room. The .43 acre lot is rare in Pennsauken. Huge fenced yard. Plenty of off street parking with two garages and two driveways. Minutes to Philadelphia by car or use Pennsauken's Transit Center to access 30th Street Station, the Riverline, PATCO and Atlantic City. Come see this wonderful property today." "Location Location Location...Wow what a beautiful house. Looking for the perfect home? Look no further. This gorgeous 4 bedroom 1.5 bath property is all you're looking for in a house. From walking into the tile floored walkway that leads to the fully upgraded kitchen with granite counter tops, stainless steel, fridge & stove, built in microwave, and more to the living and dinning rooms, to the gorgeous room with sky light and the perfect size bedroom on the main level where the half bath and laundry room are to the second floor that has a full bathroom with three nice size bedrooms. This property also has the perfect size fenced backyard that has a lovely patio. It also has a brand new heater, A/C unit, washer and dryer, solar panels where the electric bill is low, and much more. Convenience location minutes away from major highways, shopping centers, and more. Make an offer today this property won't last." "Construction is underway! Beautiful, brand new construction. 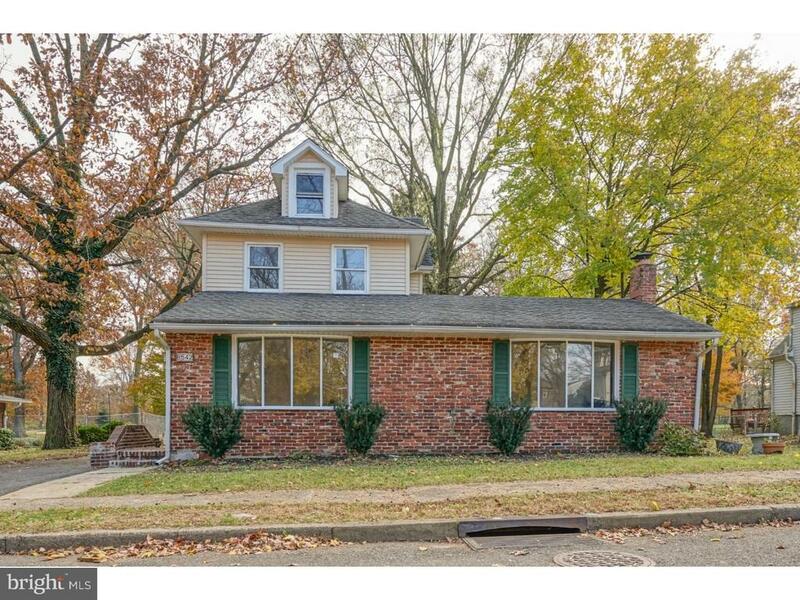 3 bedrooms, 2.5 bath Colonial home complete with a 1 car attached garage, laundry room and full basement. There is still time to choose your colors, siding, fixtures, cabinetry, flooring, carpeting and more! Make this wonderful new home yours!" 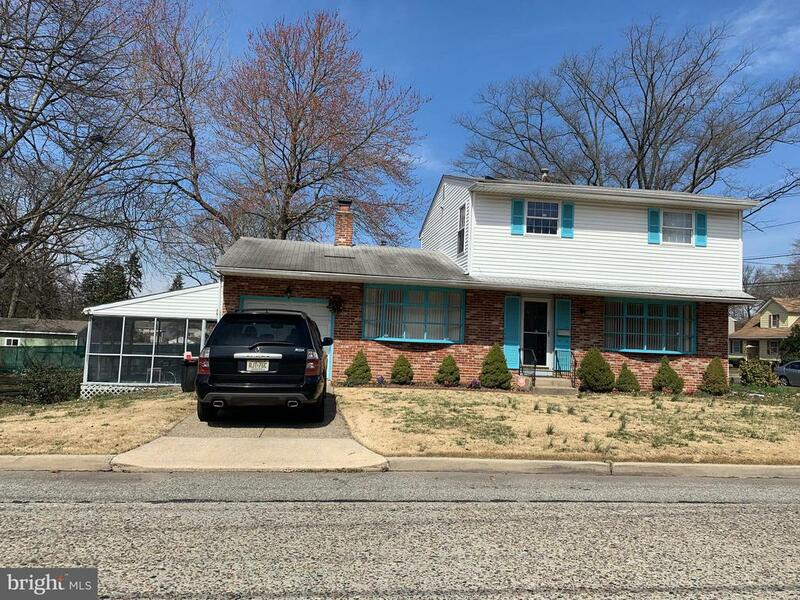 "Don't miss this one ... spacious 3 bedrooms and 3 full baths, 2 story Colonial in Pennsauken Woods subdivision of Pennsauken twp.Property was totally rehabbed in 2008. Main level features spacious kitchen with full stainless appliance package.,updated cabinetry ,living room with gas fireplace and oversized 21 X 11 Florida room .Main level also a full bath. 2nd level offers 3 bedrooms ( master bed with full private and walk-in closet )+ additional full hall bath. The exterior features vinyl siding ,above ground pool and and full fenced.yard. This will likely be a short sale and final price will be subject to 3rd party approval. Buyer will responsible for township CO as well as any lender or township repairs as may be required for transfer of title." "Residential home ready to move in !! 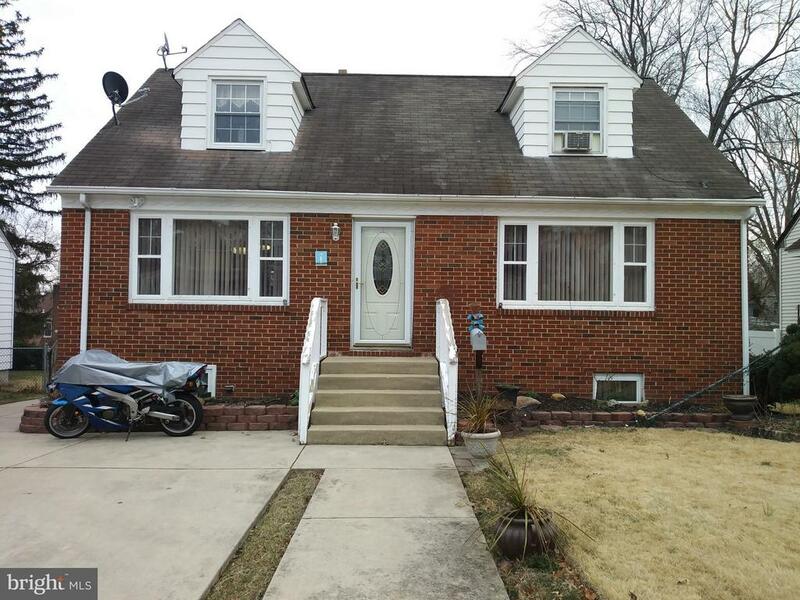 Features 3 bedrooms, 2 full baths and 1 half bath, house in great condition. You can still enjoy the end of the summer in a nice backyard. 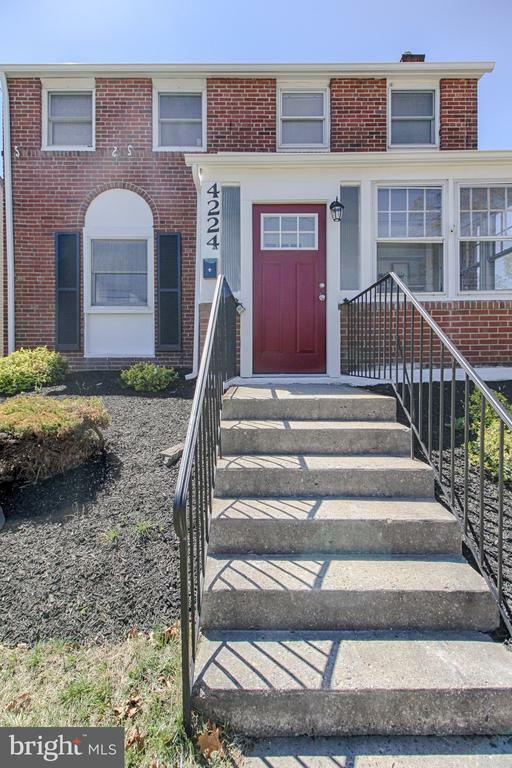 Strategic located near by major highways, parks, school district, shopping and Cherry Hill station. Be ready for the Holidays, you don't want to pass this opportunity !!" 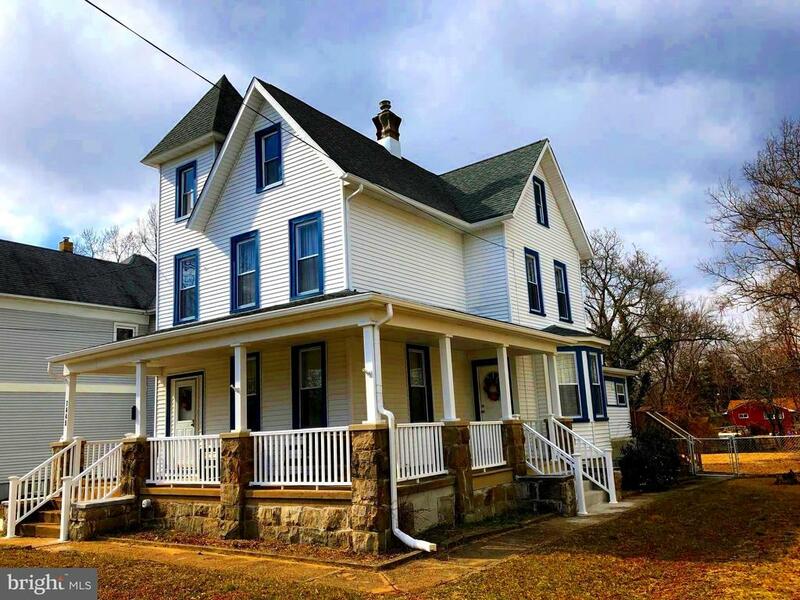 "Charming 2,086 square feet Collins Tract 2 Story with beautiful natural woodwork in the Living Room and Dining Room, Trek decking on front porch, Modern kitchen, 2 full baths, laundry on 1st floor, zoned gas heat & Central Air. Presently zoned and used as duplex. Easily converted to single family with door 2 2nd floor staircase from foyer. Buyer responsible for changes needed." "This very nice two story home is located in a great location. It has 4 bedrooms, 1 and a half bath. There has been many updates in the house, including brand new kitchen with granite countertop, remodeled bathroom, and hardwood floor throughout the house. 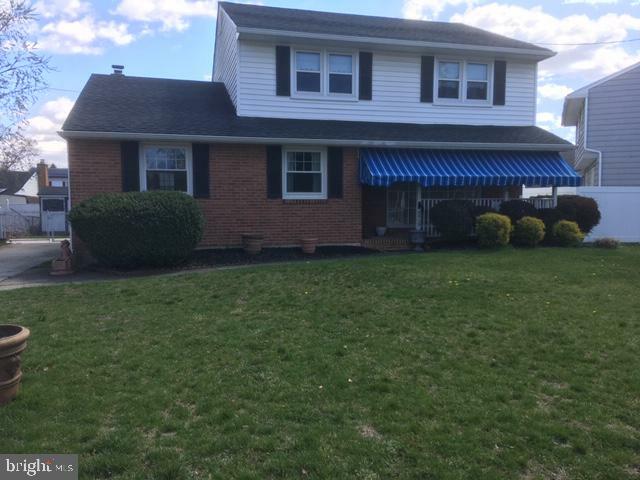 There is a full and finished basement with an extra room that can be used as an office, extra bedroom, etc.. Make appointment to see the house. Easy to show. Pictures are coming soon"
"Beautiful Inside and Out!!! This Home is a great buy! 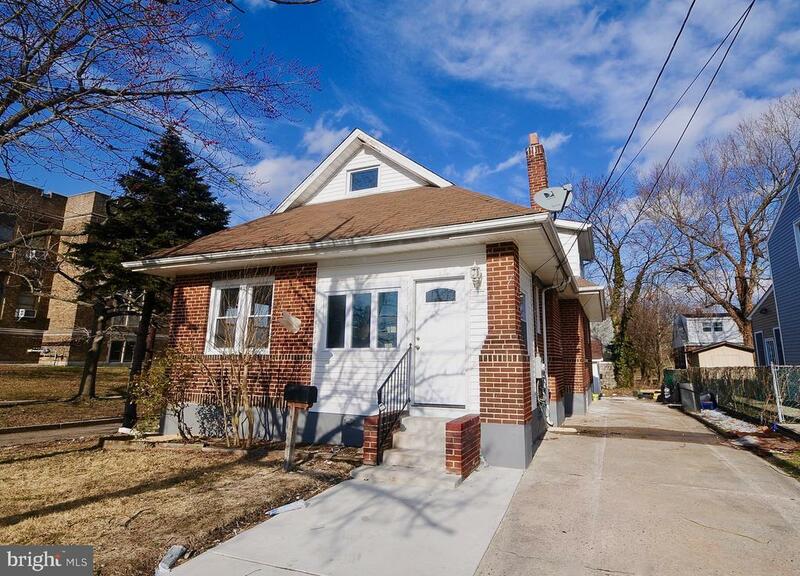 Large, Modernized 4 Bedroom Split. 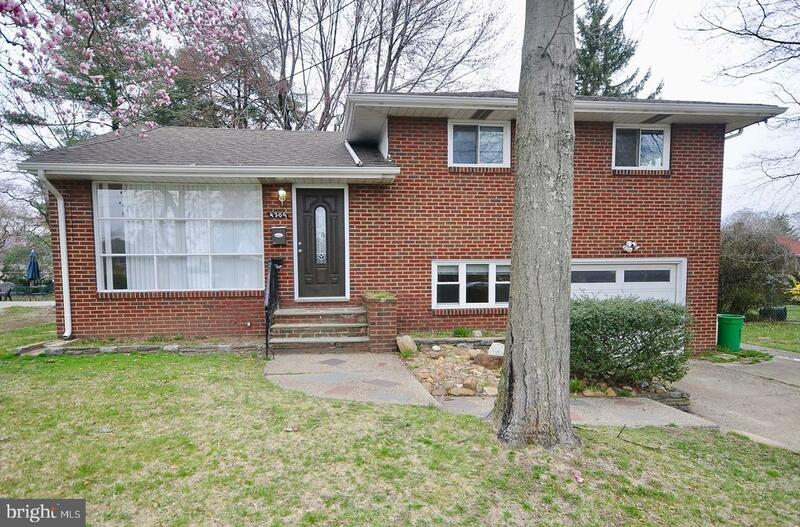 Enter into a Spacious Living Room & Dining Room w/New Real Hardwood Floors & Vaulted Ceiling. Eat in Kitchen w/Ceramic Flooring, New Oak Cabinets, New Gas Range w/Built in Microwave & Granite Counter Tops. 2 New Full Bath w/Ceramic Floors & Shower Surrounds. 3 Roomy Bedrooms w/New Carpetings & Light Fixtures. Lower Level with separate entrance has Family Room/Office, 4th Bdrm & Laundry Room. Lower Level would be perfect for home based business or in-law suite. Freshly Painted Throughout. Lots of New Updates/Remodeling, Newer Roof. Fenced Yard. Home conveniently located to all major roadways. Minutes to the PA bridges. Dont Miss Out, It won't last long!" 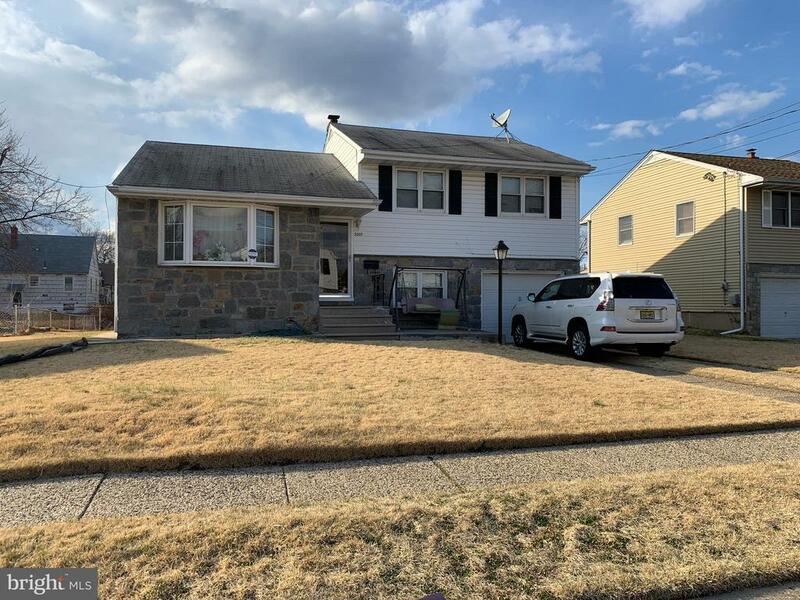 "This 3 bedroom 2 bathroom home has plenty of living space, including a remodeled kitchen, complete with granite counter tops, a finished basement with a second kitchen, and a huge back yard that would be great for gatherings. Also, a shed out back adds to the generous storage space this home has. The only thing missing is a new owner. Schedule your showing today!!!" 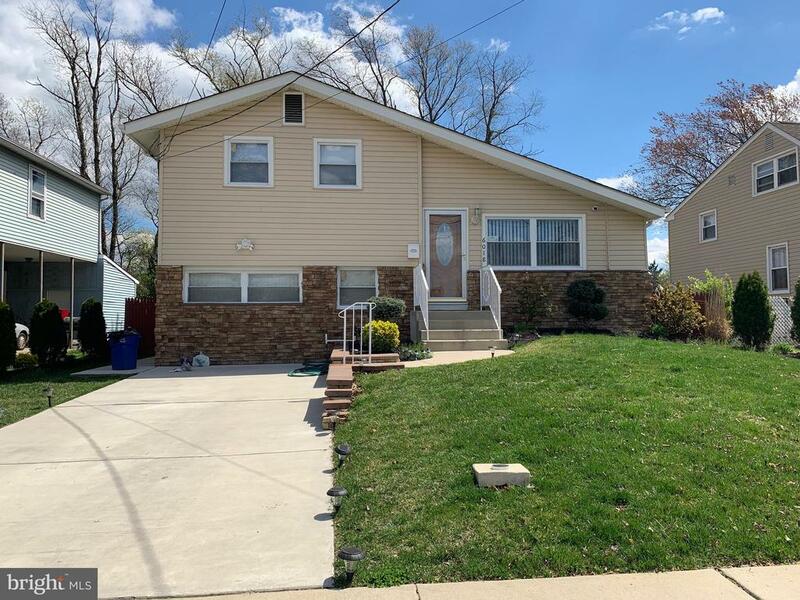 "beautiful all brick split level recently updated including newer kitchen with granite counter top ,new bath rooms , refinished hardwood floor , freshly painted and more . Nothing to do here move right in this summer . Show and sell"
"just renovated . Home features 5 beds 2 1/2 baths with all new windows,new heater central air ,new bath rooms ,new kitchen with granite counter top and appliances . all crown molding and recessing light . Freshly painted and ready to go . If you need rooms this is the one Show and sell !!!" "Nice split level in bloomfield section . House recently updated new kitchen with granite counter top , new bathrooms ,new heater and water heater . 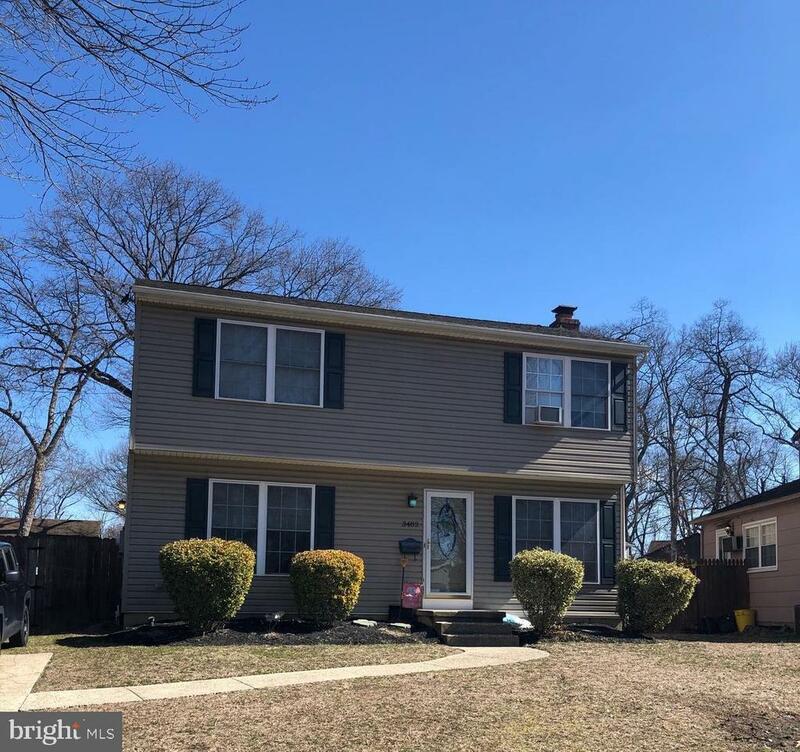 Move right in with this home sweet home"
"Beautiful two story brick home is freshly remodeled and waiting for its new owners to come and enjoy it. Enclosed front porch. Living room with stone fireplace. Formal dining room. Refinished hardwood floors. Eat in kitchen with dining area, granite tops soft close cabinets, tiled backsplash, gas cooking and stainless appliances. Bonus room off kitchen could be familyroom or 4th bedroom your pick. Upstairs has 3 good size bedrooms, new full bath, new half bath on main floor. Basement unfinished and additional storage. Call today to see this beauty." "This one-of-a-kind Single family home is full of character! It has 3 bedrooms, 2.5 bathrooms and an unfinished basement. Features include recreational room, separate living and dining room! Property includes patio and very nice backyard." "spacious and well kept home . first floor have a family room that can easy convert to a 4 bedroom . Nice and clean basement attached garage connected to screen room for a beautiful summer . Convenience location bank and dunking donuts just around the corner . Show and Sell !!!!" "This 4 bedroom 2 bath home has been renovated with a new kitchen with NEW stainless appliances, ceramic flooring, granite counter tops, and tiled back splash. Home has replacement windows and 6 panel doors throughout. The 1st floor has an open floor plan with enormous living room, family room, dining, and a BEDROOM. Upstairs has 3 more bedrooms and an updated bathroom with new vanity with granite and new bathtub. There is a walk-up attic that can be used for storage. Dry basement that can also be used for storage. The side yard is fenced in for your convenience."